A corner of this bedroom has been set aside as a personal retreat. San Diego interior designer Jim Walters has represented his seven elements of Home Retreat with artwork, orchid, reading book, custom chaise, chenille throw, scented candle, and box of mementos. "The headboard and bedding are of silk and chenille. At the foot of the bed is a bench in a chenille matching the headboard. 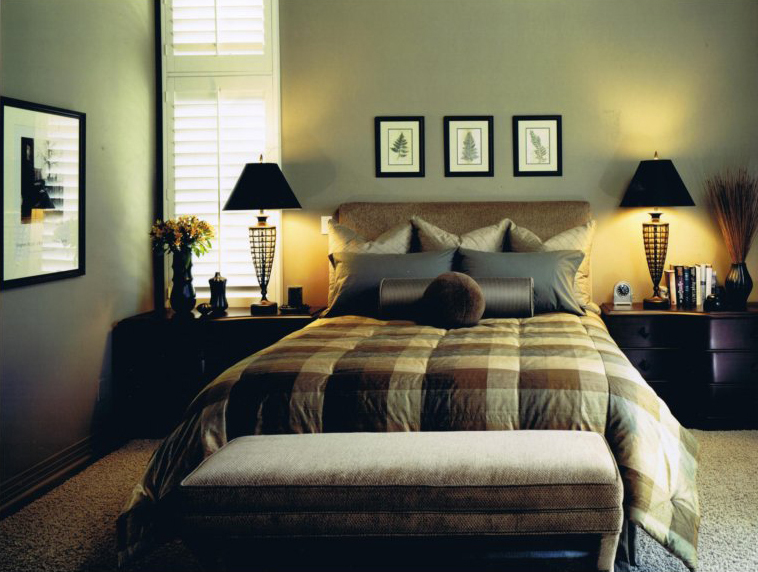 The bed is flanked by two serpentine-front nightstands in a cherry finish. "